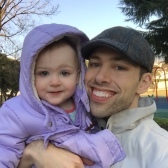 It feels like just yesterday I was writing about my daughter's yochien out here in the Japanese inaka (countryside) to rave about the wide range of activities they offer children. Well, today, I found another reason to rave about it: the school's Tanabata festival. For those of you who don't know, Tanabata festival is a Japanese tradition that occurs sometime during the summer. Every place does it a little bit differently and at different times, though most tend to shoot for July 7th, or 7/7. Tanabata is celebration of star-crossed lovers separated by the milky way who get to reunite once a year in the summer. 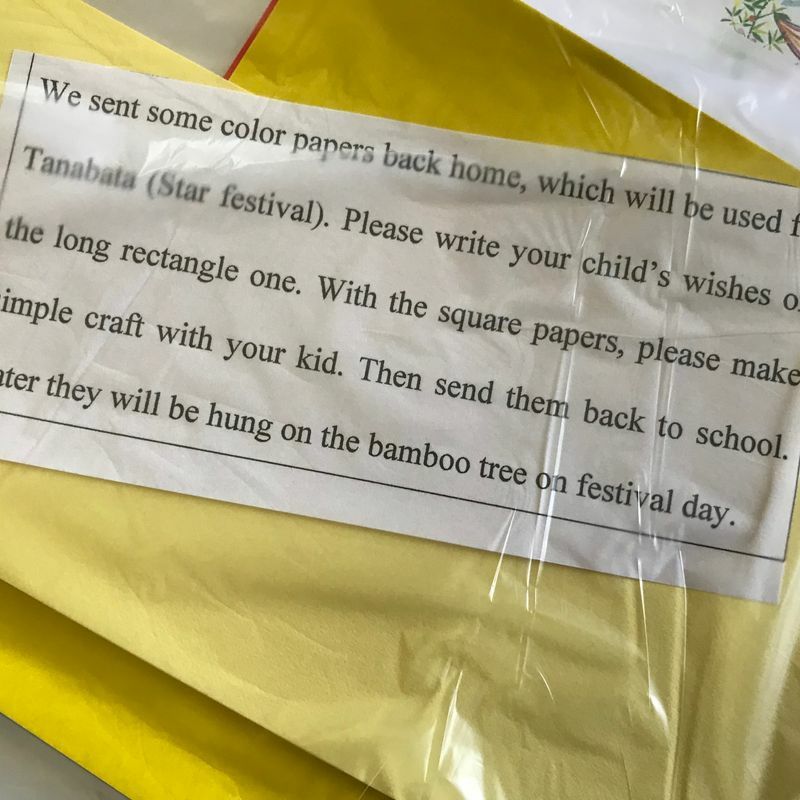 Tanabata represents love and wishes, and so one of the associated traditions is writing a wish on a colorful streamer and tying it to a tree (almost always bamboo). This, I learned, is one way my daughter's Yochien celebrates Tanabata. So we sat down one evening and wrote out my daughter's wish (she said she wished she could speak Japanese really well) and pasted some origami on the streamer. She was excited to bring it to school in preparation for decorating the tree later in the week. 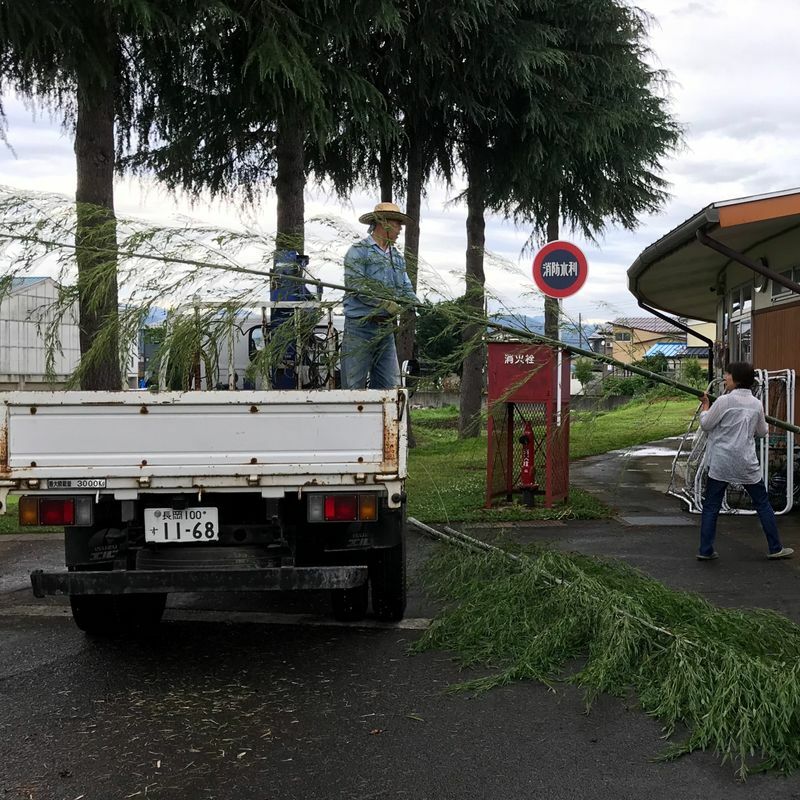 That truck had about 15 giant bamboo plants, each about 25 feet tall! WHAT!? But you see, this is what I love about that school--they could take the easy road, but they don't spare effort for the kids. Easy road in this case would have been 4 foot tall bamboo shoot for each class, but nope, they said, Go big or go home. I can't wait to see how they set these things up!